Born in Balfron, Scotland in 1953 I am now registered blind and live with my wife Margaret in Dumbarton. Prior to being registered blind I was the Assistant Coaching Manager with one of Scotland’s largest bus and coach companies (Alexander’s Bluebird Coaches) and in 1988 accepted early retirement on becoming registered blind. Since losing my sight, I returned to mainstream education and obtained a Higher National Diploma in social science. For a period I worked with a Scottish Local Authority, followed by a Scottish wide charity – Inclusion Scotland, as a disability access officer. I have been an NFBUK member since the mid 1980’s and have served in various positions within NFUK at national and local level, including serving as their Public Relations Officer and President. I am a past President of the Scottish Council on Vision Impairment (formerly the Scottish National Federation for the Welfare of the Blind). 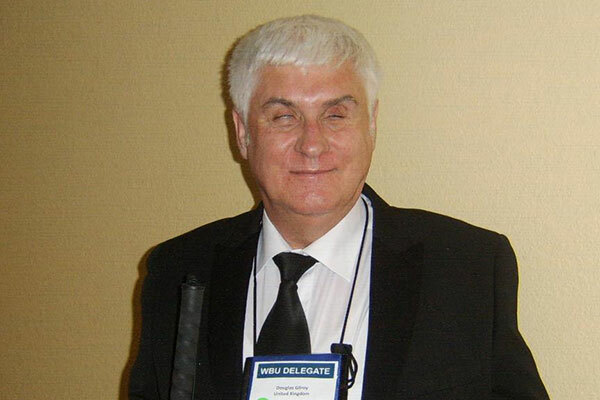 Past Chairman and honorary life member of the Scottish Accessible Transport Alliance (SATA). Former member of the European Disability Forum (EDF) and member of their freedom of movement committee. Chairman of the Resourceful Ramblers group for approximately 10 years. My interests include listening to books (biographies & autobiographies), music, socialising and traveling.